Product Details Product Name Custom Lithium ion 12V Mini Portable DVD Player Li-ion 18650 Rechargeable Battery Pack Reference Made by GB/T18287-2000, UL1642 and IEC61960-1:2000. 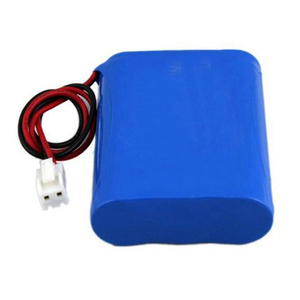 Battery Type 18650 li ion battery Material Li-ion (NiCoMn) Part No. 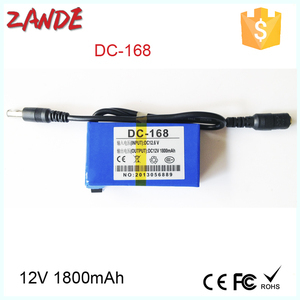 : 18650 Composed 3S1P Voltage/Capacity 11.1V/2600mAh Sizes High: 65.0&plusmn;0.5mm Diameter: 60.0&plusmn;0.05mm Or customized Weight Approx. 160.0g Package PVC, Customized is available Certification UL,CE,RoHs,UN38.3,MSDS,CB,BIS&hellip; Cycle life 500 cycles Warranty One year Delivery Time 7-20 days, depending on stock and quantity. We Data power technology limited is specialized in li-ion battery for 13 years , battery Size and capacity can be customized as your request. 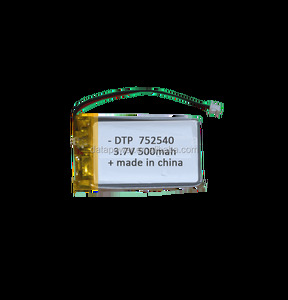 Herewith the Main specification of Popular Rechargeable 3.7 volts 752540 Mini Lithium Polymer Battery 3.7v 500mah Custom Size Lipo. 5. Q: Can we visit your factory9 A: Warmly Once we have your schedule, we will arrange the professional sales team to follow up your case. With at least More than 1000times cycle life It can run well under different temperature environment condition No memory effects. Detailed Pictures Why choose lithium ion battery9 Lithium ion is the battery technology of today. A few of its outstanding featuers: Space and weight savings up to 70% Longer lifespan of traditional batteries Extremely fast charging and discharging. 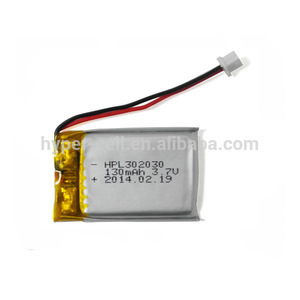 10100 60mah 3.7v mini Lithium Polymer Rechargeable Battery. 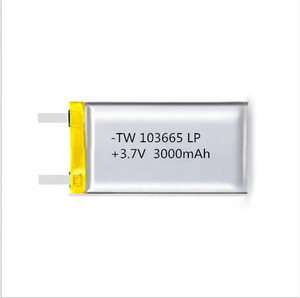 for 10100 60mah 3.7v mini Lithium Polymer Rechargeable Battery. Charge Voltage 4.23V 3.8 Charge Time Approx 6.0h Charge: 0.2CmA 3.9 Max. What is your terms of packing9 A: Generally, we pack our goods in neutral white boxes and brown cartons. We'll show you the photos of the products and packages before you pay the balance. Q3 . The specific delivery time depends on the items and the quantity of your order. Q5 . 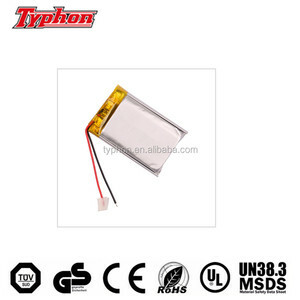 Mini rechargeable battery, 3.7V 105mah lithium polymer battery, lipo battery cell Why choose us9 1.Quality Assurance (Quality is our soul of enterprise ! ) 2.lion battery production create the record of the largest order in one time order in industry ! 5.Long cycle life battery can ensure high quality quality battery, we are committed to 1.5 times the cycle life of more than other factories ! 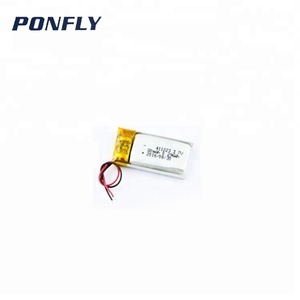 351025 3.7v 60mah lipo mini battery li-polymer lithium rechargeable battery We can choose the suitable wire and connector according to your request. 2.No matter big order or small order , we will provide all the best quality , best service. the more inoformation you tell,the better it is 2. We make invoice for you. Q3. What is your terms of packing9 A: Generally, we pack our batteries in carton . Q4. What is your terms of payment9 A: T/T 30% as deposit, and 70% before delivery. Q5. What is your terms of delivery9 A: EXW, FOB, CIF Q6. How about your batttery delivery time9 A: Within 15 days after receiving your advance payment. 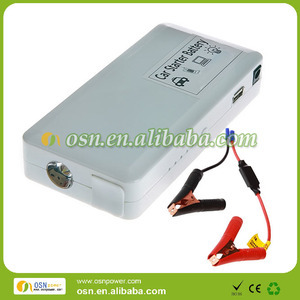 Alibaba.com offers 77,446 mini rechargeable battery products. About 2% of these are rechargeable batteries, 1% are storage batteries, and 1% are battery packs. A wide variety of mini rechargeable battery options are available to you, such as li-polymer, li-ion, and ni-mh. You can also choose from 1.2v, 12v, and 1.5v. As well as from free samples, paid samples. There are 77,446 mini rechargeable battery suppliers, mainly located in Asia. The top supplying country is China (Mainland), which supply 100% of mini rechargeable battery respectively. Mini rechargeable battery products are most popular in North America, Western Europe, and South America. You can ensure product safety by selecting from certified suppliers, including 17,435 with ISO9001, 8,151 with Other, and 1,846 with BSCI certification.